Keep your vehicle running just like it should with the help of the experts at our transmission company. Our qualified and experienced team provides high-quality manual transmission updates, automatic transmission updates, and any transmission repairs you require. Our affordable transmission specialist provides efficient assistance on all makes and models that need updated components at the lowest price possible. No matter what the specific issue behind the problems with your transmission, our experienced mechanics have seen it before. Just bring your transmission problem to us and we will solve it for you using the latest equipment to diagnose and fix the issue. Your transmission will never run better than after you pull your vehicle out of our shop! We perform all of these services in house, using top quality components and equipment. 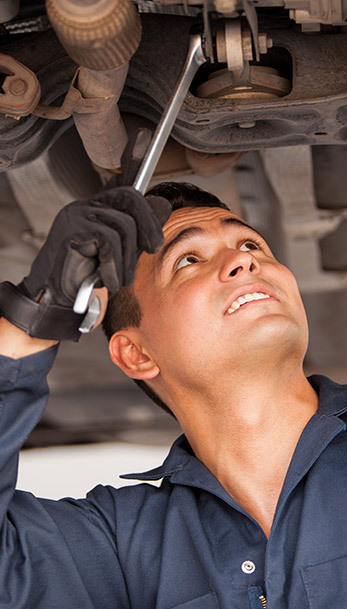 Trust our technicians to give you the best repairs at the most affordable price you will find anywhere for transmission services in Gainesville, Buford, Suwanee, Lawrenceville, Flowery Branch, Oakwood, Braselton, Auburn, Winder, or Duluth, Georgia! Plus, for a limited time we are offering our customers $100 off transmission rebuilds and overhauls. Contact us today to find out more and to schedule your appointment for our quality services! Transmission Rebuilds - We can rebuild any make and model transmission from the ground up. Transmission Replacements - When it's tiome for a change, let us replace your old and worn transmission. Factory Modifications - Let us modify your existing manual or automatic transmission to meet all factory standards. Manual and Automatic Transmission Updates - Keep up with the times, thanks to our state-of-the-art transmission updates! High Performance Updates - Take your vehicle to the next level with an upgrade to a high-performance transmission. Transmission repairs at our shop are all performed in house. We use top quality components and equipment. And, our mechanics have the knowledge to work on any make or model car. You can trust us to give you the best repairs at the most affordable price you will find anywhere. As a token of our appreciation for your business, we are currently offering limited-time discounts and special offers. You can now save $100 on all transmission rebuilds and overhauls. Once you schedule an appointment for transmission repairs, ask us about any other special discounts you may quality for. Optimize the way you drive with the help of our automatic transmission updates, including repair, rebuild, and replacement services. Our team of auto mechanics properly assesses any issues you have and provides recommendations on how to improve your car’s performance. Trust our technicians to give you the proper updated components for your transmission system at the most affordable price you will find anywhere in the area. Own a manual transmission? Want it to run even better than it currently does? Then you are in need of our manual transmission updates. From standard repairs to rebuild and replacement services, we perform all of the services you need to improve the way your manual transmission works right in our own shop using top-quality components and equipment. Our tested manual transmission updates are proven to empower and improve your car. Our team of knowledgeable mechanics works on any make or model car using top-quality components and equipment to ensure you get the results you are after. Donald D. Kittle founded our transmission repair company more than 20 years ago. At the young age of 16, Donald began working on cars with his father, and mechanics soon became a lifelong passion for him. After working in his father's transmission shop as an apprentice and becoming a transmission rebuilder, Donald felt ready to open his own transmission shop where any customer would feel welcome. His mission is to offer every customer quality work along with fair and honest service. With more than 35 years of experience, Donald can help you with any issue affecting your vehicle, even if it goes beyond your transmission. Our shop is currently offering time-limited discounts and special offers. You can now save $100 on all transmission rebuilds and overhauls. We encourage you to ask one of our helpful staff members for more information when you schedule your appointment. Contact us today when you are in need of any automatic or manual transmission updates. We serve residents of Gainesville, Buford, Suwanee, Lawrenceville, Flowery Branch, Oakwood, Braselton, Auburn, Winder, and Duluth, Georgia.